Let's learn about Dynamic Memory Allocation in C Programming. In Dynamic Memory Allocation, memory will be allocated at run time. The Dynamic Memory Allocation allows us to modify memory size at run time. Learn about Structures, Typedef and Union in C Programming. The Structures or struct is user-defined data type in C which allows grouping together related data items of different types. Let's learn about Strings in C Programming Language. The understanding of strings requires a good knowledge of array. The reason because string is nothing but a one-dimensional array of characters. Let's learn about arrays in C Programming. Arrays are group of item of same type under one variable name. It is an ordered list of elements where each is of the same data type. The real C programming starts from the day you’re handling Pointers in C Programming. 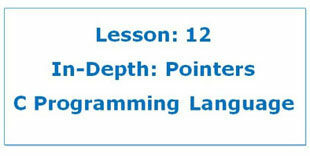 Pointers provide an indirect method of accessing variables. Recursion in C Programming is technique in which function call’s itself number of times. 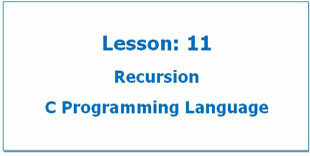 The function calls itself is referred as recursive function and call is recursive call. 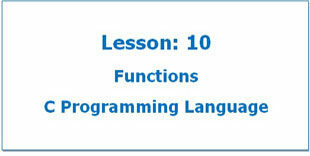 Functions in C Programming are building block of a Program. There are times when we need to write particular block of code more than once in our program. 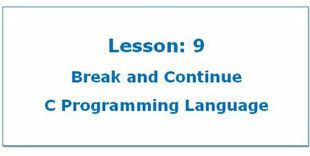 Break and Continue in C Programming are Control Statements. While writing programs often time situation occurs where we want to jump out of loop instantly.